WESTLIFE have joined forces with rival manband Take That for their new single. The Irish heart-throbs return with Lighthouse next month, a track penned especially for them by TT mainman turned X Factor judge Gary Barlow, 40. The lads hope the sweeping single can do for them what Gary’s songs did for Take That’s big comeback. 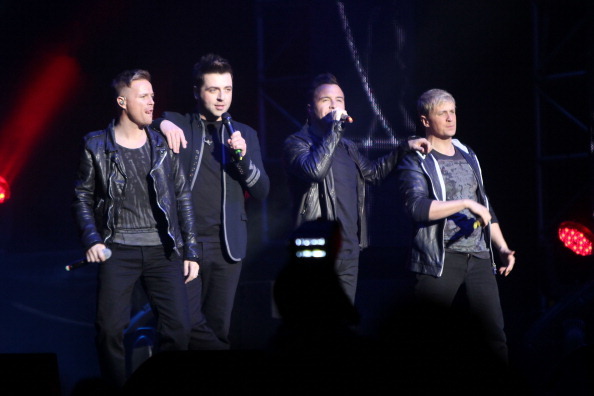 Loifer Mark Feehily, 31, told me: “Lighthouse was written for us by Gary with John Shanks. Lighthouse is one of six new tracks the band have recorded for a fresh Greatest Hits album out November 21. Gary’s track was so good it ousted one of Mark’s own compositions as first single. Mark revealed: “One of the potential singles was my own song Beautiful World, which I wrote with John Shanks and an Irish girl called Ruth Anne-Cunningham. “It was literally up until a day ago that we were deciding between Lighthouse and Beautiful World for the first single but they went with Lighthouse in the end. Lighthouse is out November 14.